Through the first half of the twentieth century, emotions were a legitimate object of scientific study across a variety of disciplines. After 1945, however, in the wake of Nazi irrationalism, emotions became increasingly marginalized and postwar rationalism took central stage. Emotion remained on the scene of scientific and popular study but largely at the fringes as a behavioral reflex, or as a concern of the private sphere. So why, by the 1960s, had the study of emotions returned to the forefront of academic investigation? In Science and Emotions after 1945, Frank Biess and Daniel M. Gross chronicle the curious resurgence of emotion studies and show that it was fueled by two very different sources: social movements of the 1960s and brain science. A central claim of the book is that the relatively recent neuroscientific study of emotion did not initiate – but instead consolidated – the emotional turn by clearing the ground for multidisciplinary work on the emotions. 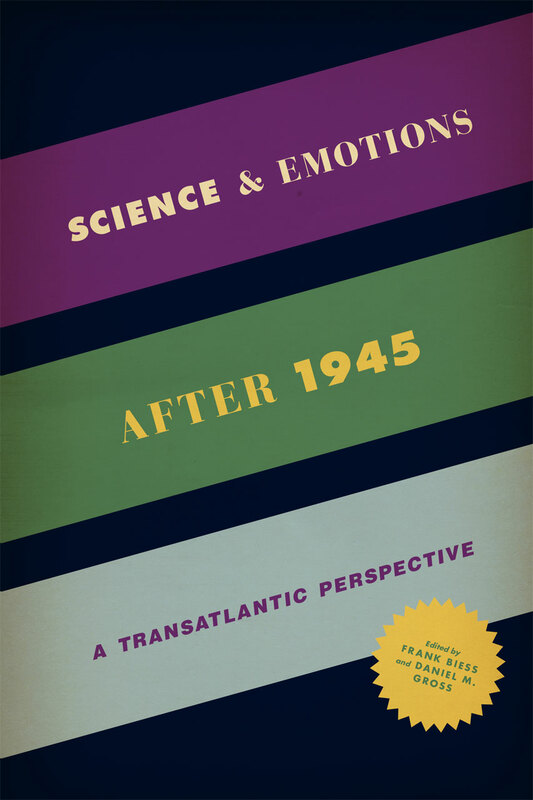 Science and Emotions after 1945 tells the story of this shift by looking closely at scientific disciplines in which the study of emotions has featured prominently, including medicine, psychiatry, neuroscience, and the social sciences, viewed in each case from a humanities perspective. 4 What Is an Excitement? 12 Passions, Preferences, and Animal Spirits: How Does Homo Oeconomicus Cope with Emotions? "This collection brings together a variety of leading scholars from different academic backgrounds, including history, literature, sociology, rhetoric, and neuroscience. Through each essay, the authors explore the influence of emotions within their particular field of study. Individually, the essays represent well-written, well-researched articles of high academic value. The collection also includes a lengthy introduction by the editors that provides historic context, historiographic background, and an organizational and methodological explanation for bringing the selected essays together." "Our concept of emotion is in large part shaped by the science of emotion, especially the experimental psychology of emotion that emerged in the nineteenth century. The history of modern emotions since the nineteenth century should, then, in large part be a history of science. For an orientation in this field, Biess and Gross have gathered the sharpest thinking being done by the smartest people. But this trail-blazing book does more than survey the psychology, neuroscience, economics, or sociology of emotion: it also puts emotion back into science. Emotions take center stage—as lived realities that motivated and puzzled the scientists who studied them. Anyone seeking perspective on the ’emotional turn’ in the humanities, social sciences, and life sciences cannot afford to miss Science and Emotions after 1945."